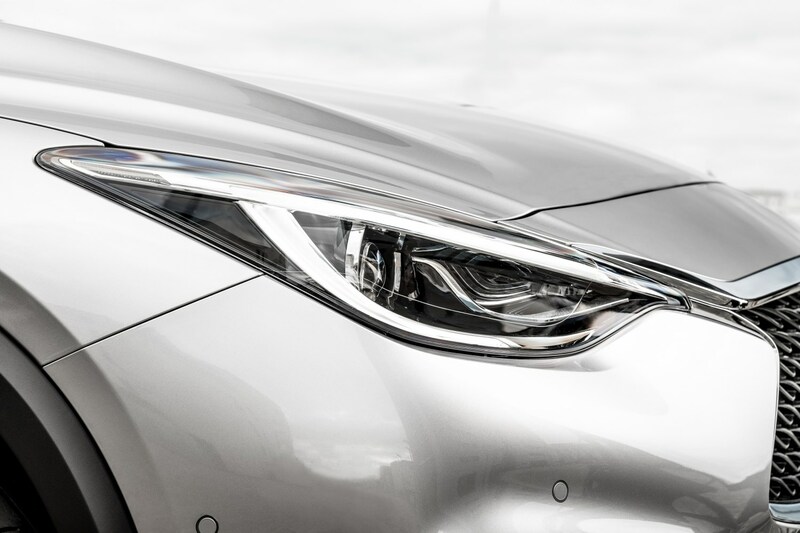 Insurance group: 21 - 26 How much is it to insure? 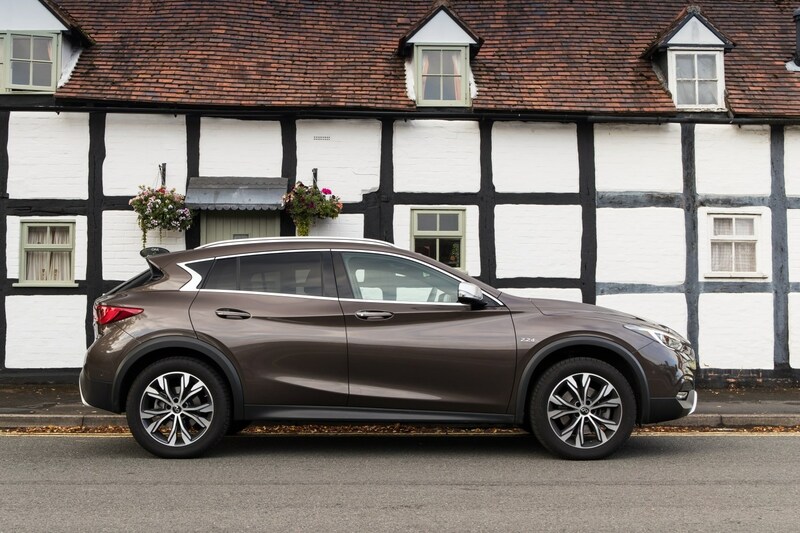 The Infiniti QX30 is a strange proposition. 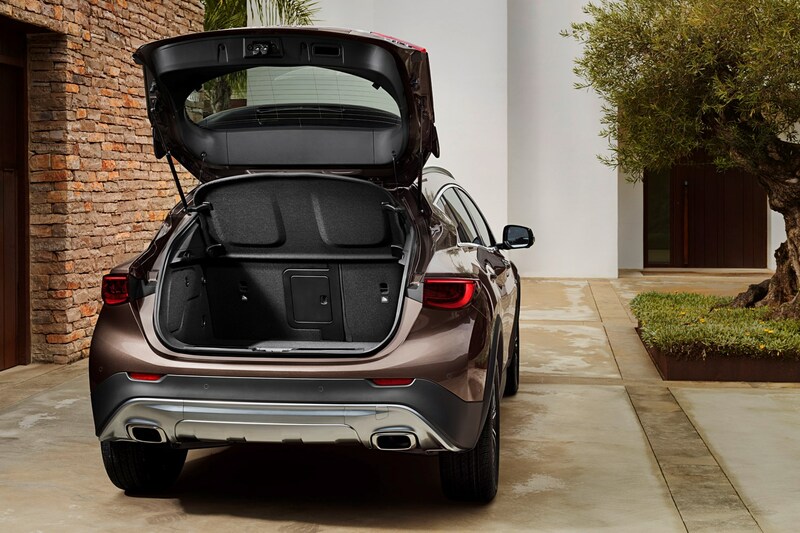 Based on the same underpinnings as one of its principal rivals, the Mercedes-Benz GLA, it shares its bodywork with the Q30 hatchback, but sits a little higher and boasts 5mm wider body-cladding. 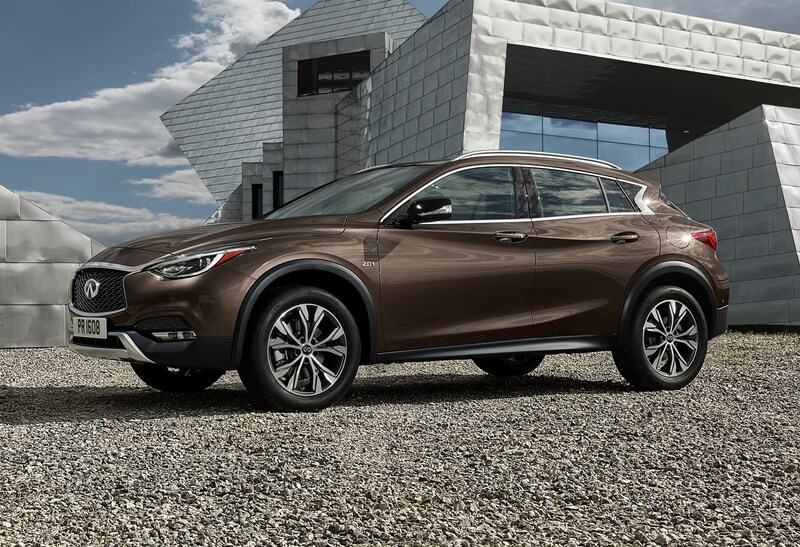 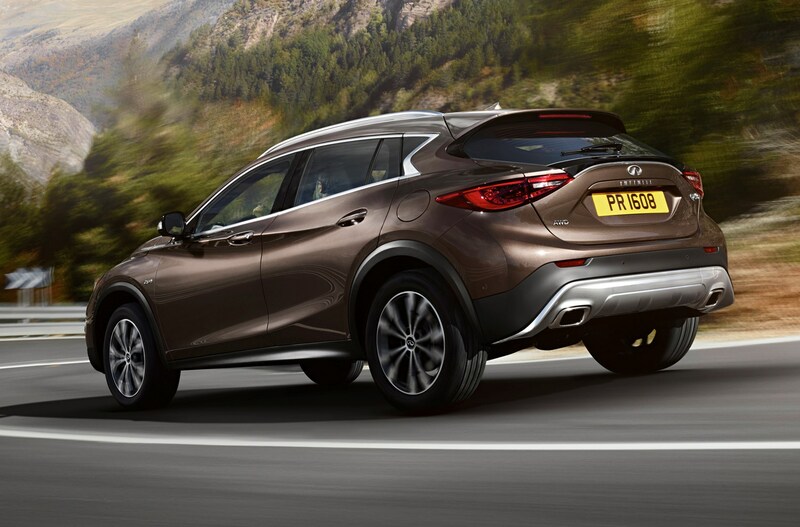 If any car embodies the marketing fluff of the crossover genre – blending both hatchback and SUV virtues – it’s surely the QX30. 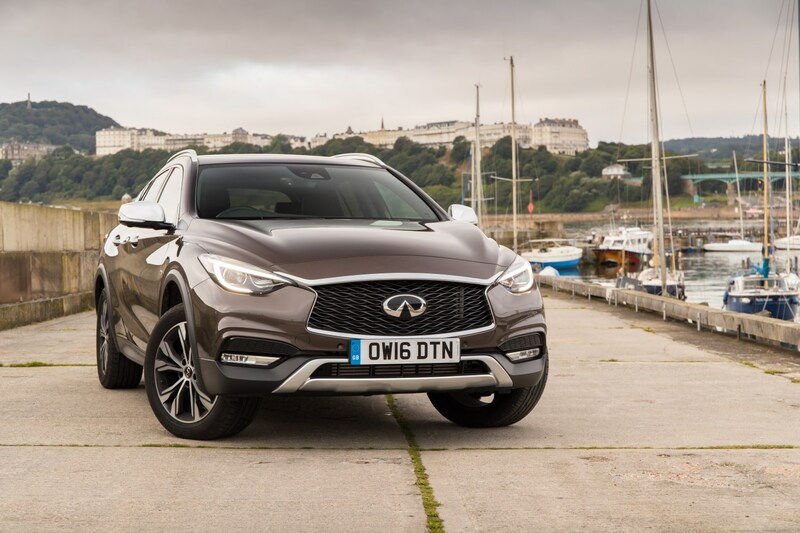 Its rivals include the MINI Countryman and Volvo V40 Cross Country or if your budget will stretch that far, arguably the Range Rover Evoque too. 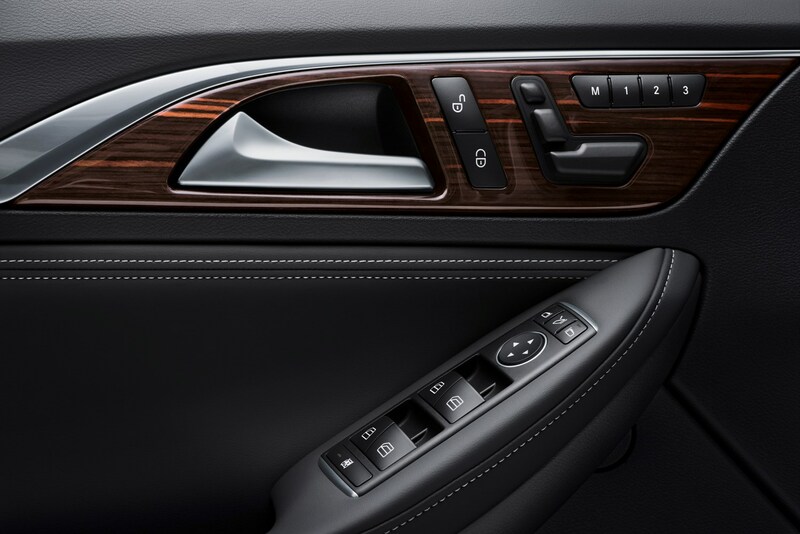 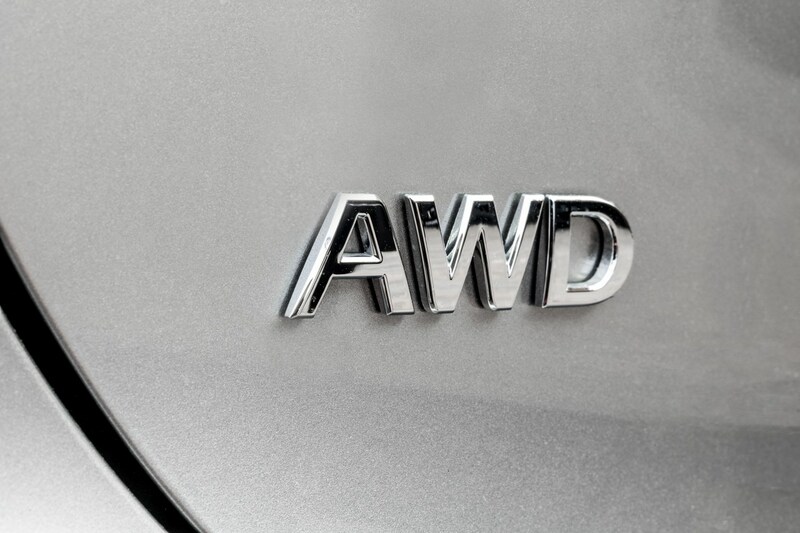 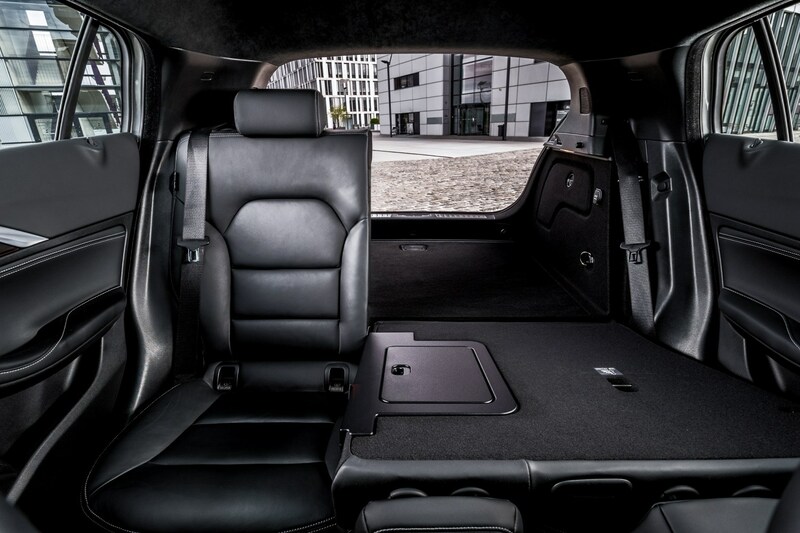 It’s a premium vehicle, with an eye-catching design and lots of safety and driver-assistance features. 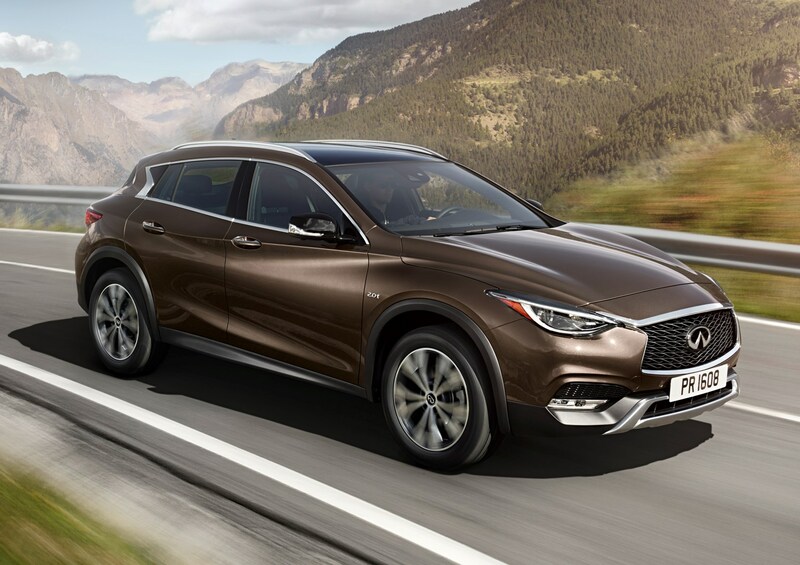 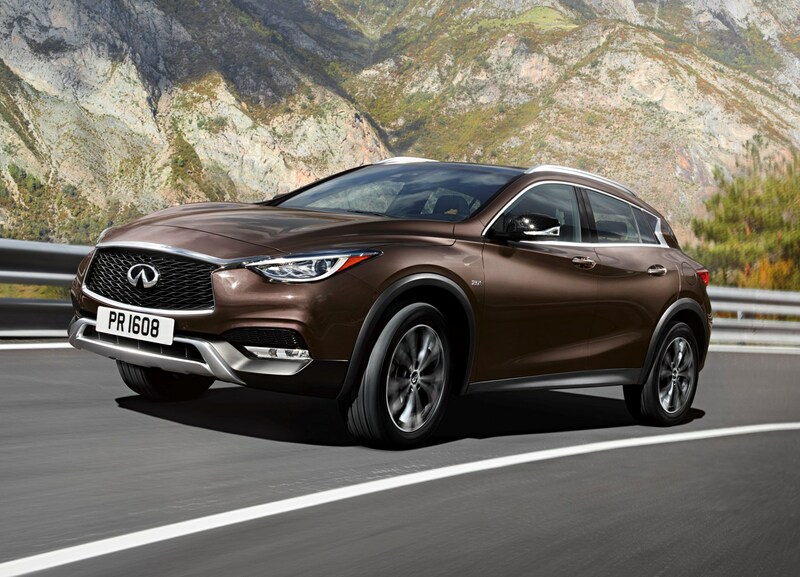 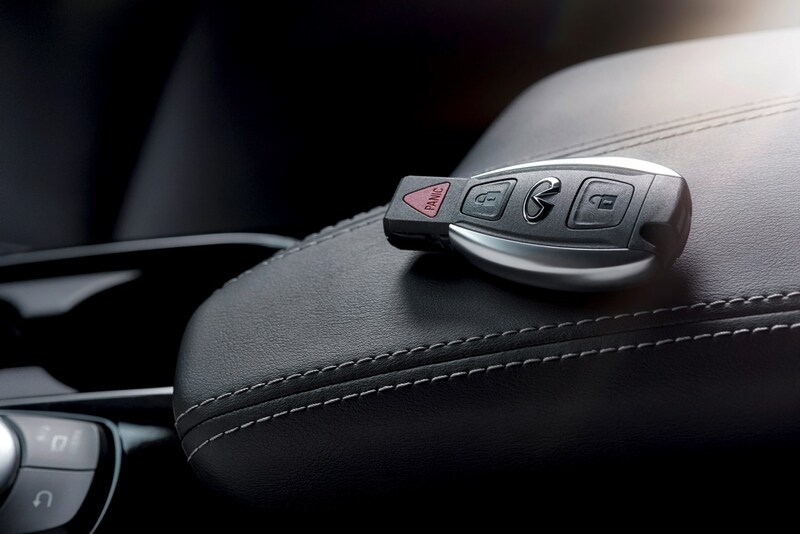 All versions of the QX30 feature a part-time all-wheel drive (AWD) and a seven-speed twin-clutch automatic gearbox, which means no matter whether you pick petrol or diesel, you’ll have a car that’s easy to drive and capable enough to deal with slippery surfaces. 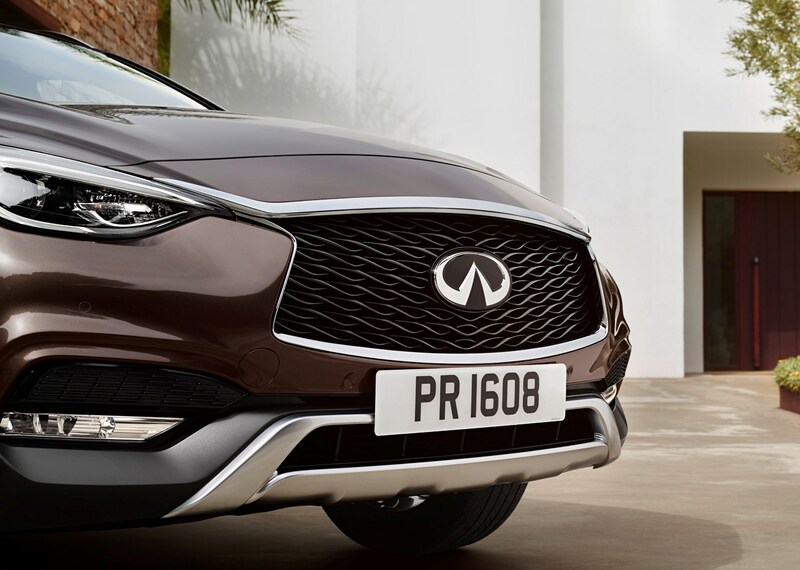 To match with the more premium nature of the QX30 compared with its hatchback sibling, Infiniti’s smaller 1.5-litre diesel and 1.6-litre petrol engines don’t make the grade. 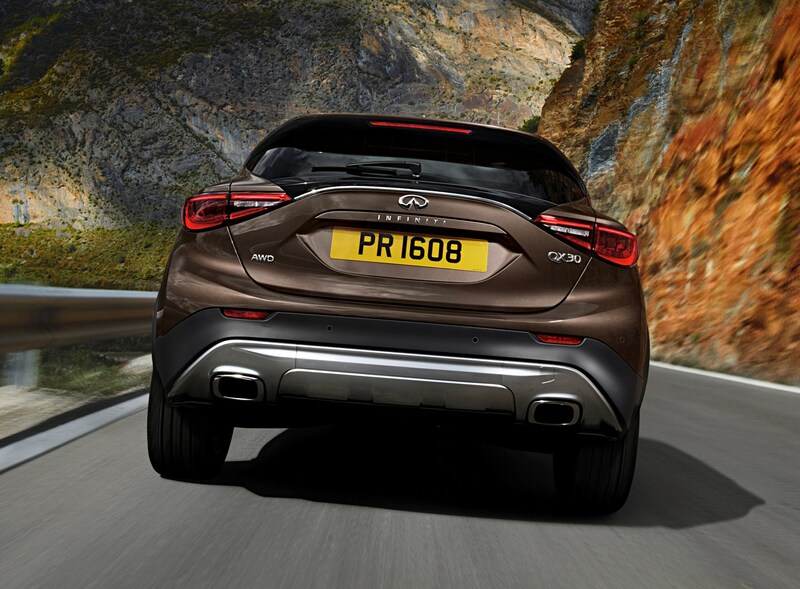 Instead, just the larger powerplants are offered. 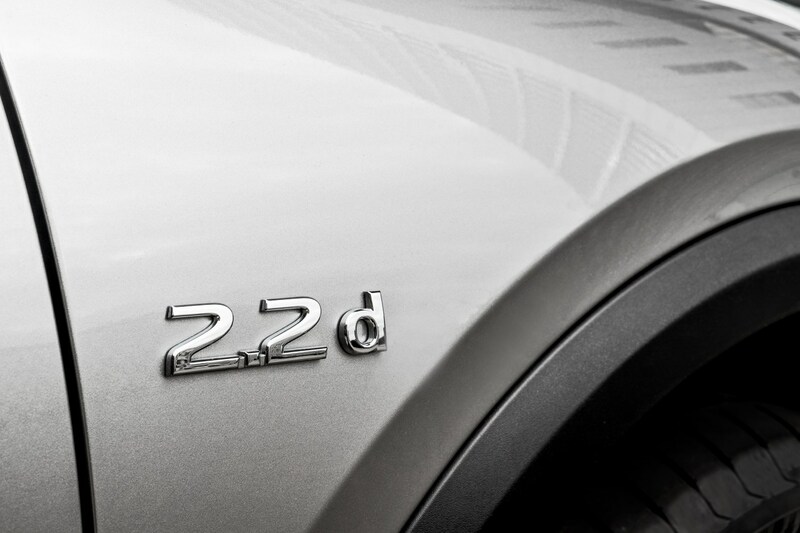 That means you can have a 2.0-litre petrol with 211hp, badged 2.0t, or a 2.1-litre diesel with 170hp that Infiniti’s cheekily made sound larger by calling it 2.2d. 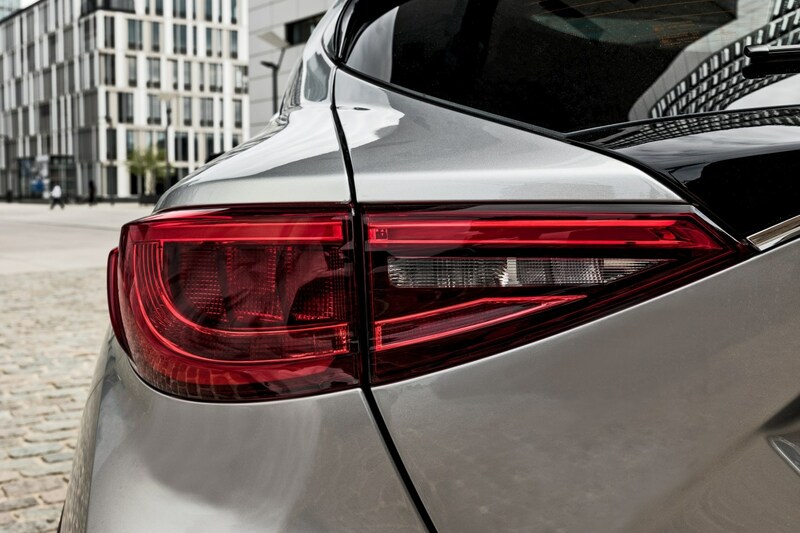 Both engines – sourced from Mercedes – are turbocharged but while you don’t exactly get sizzling performance they’re not slow either. 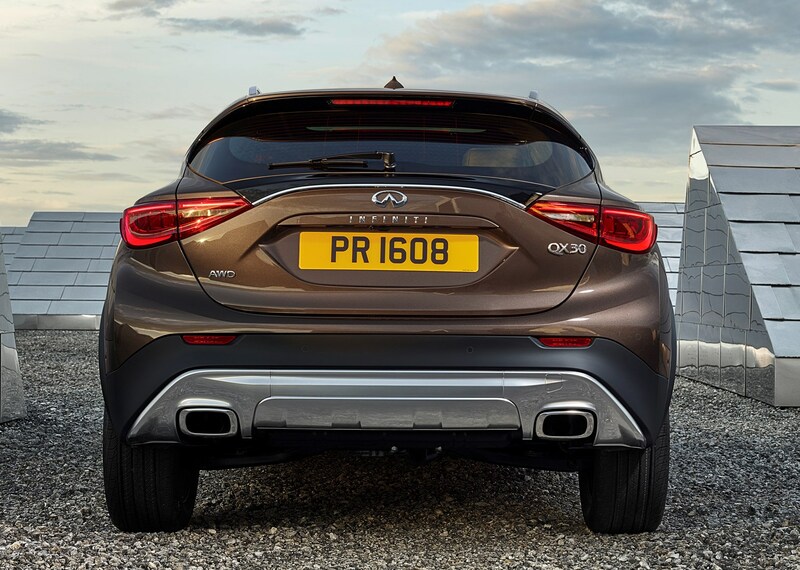 The petrol is the faster, achieving the 0-62mph sprint in 7.3 seconds, while the diesel takes 8.5 seconds. 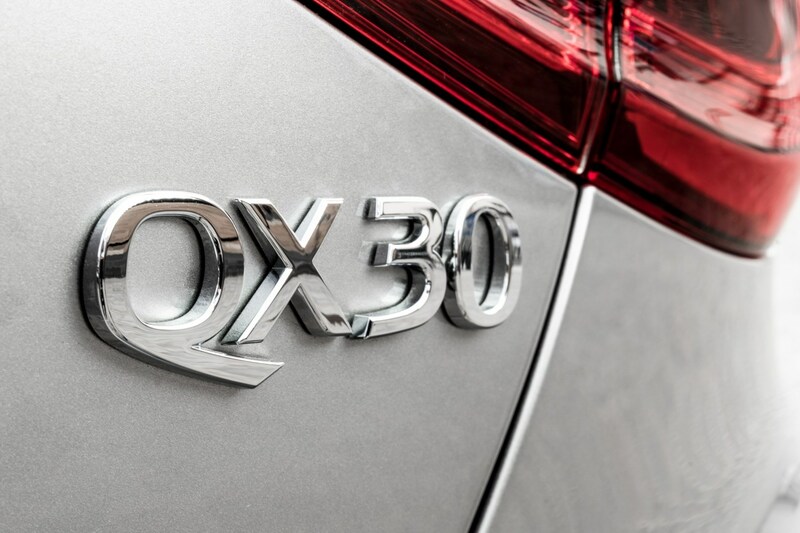 These engines boast 42mpg and 58mpg respectively. 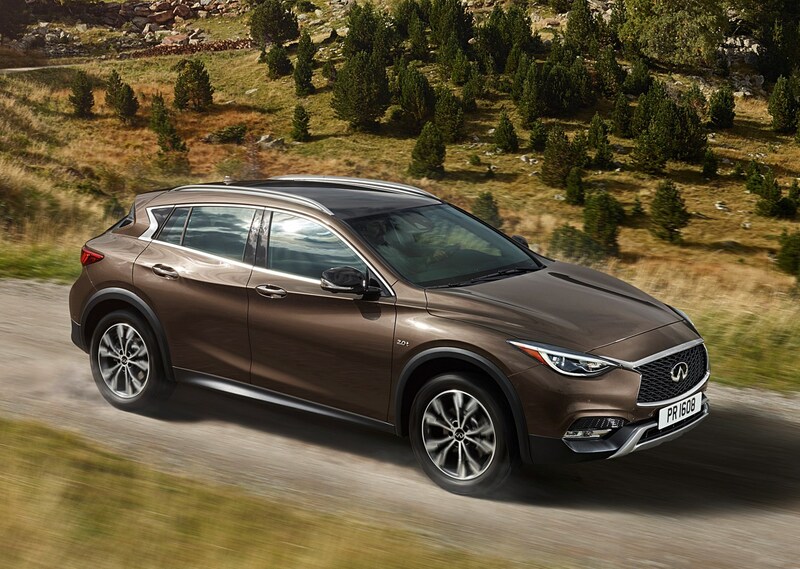 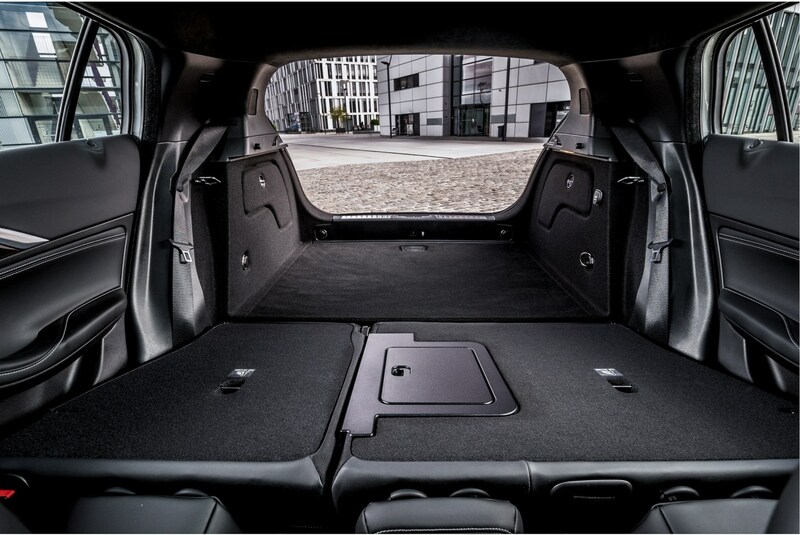 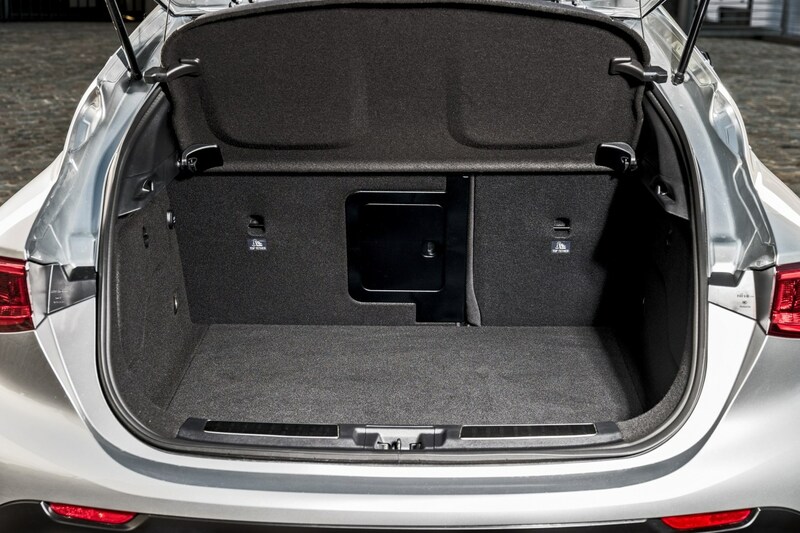 The well-finished interior from the Q30 is carried over, including comfortable seats and a noise-cancelling system on the diesel that makes for a very well-insulated cabin. 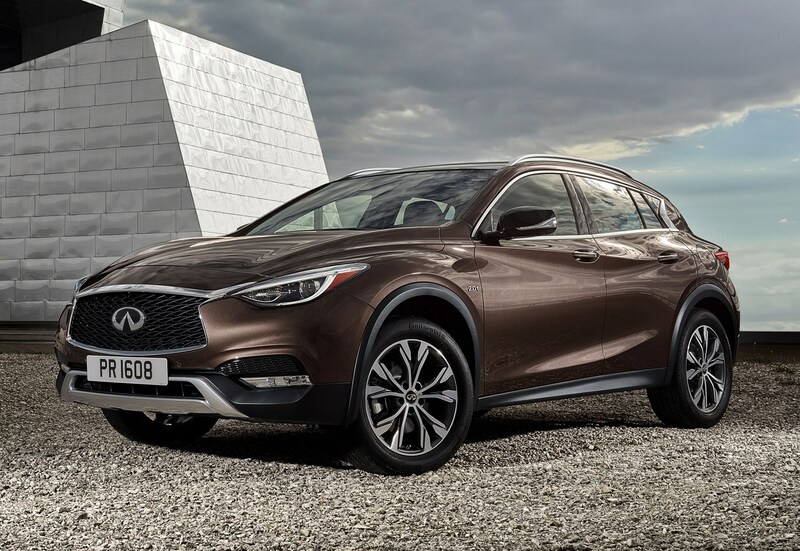 Though it sits higher than the Q30 (45mm taller than Sport models), the company has stiffened the QX30’s suspension so its handling doesn’t suffer. 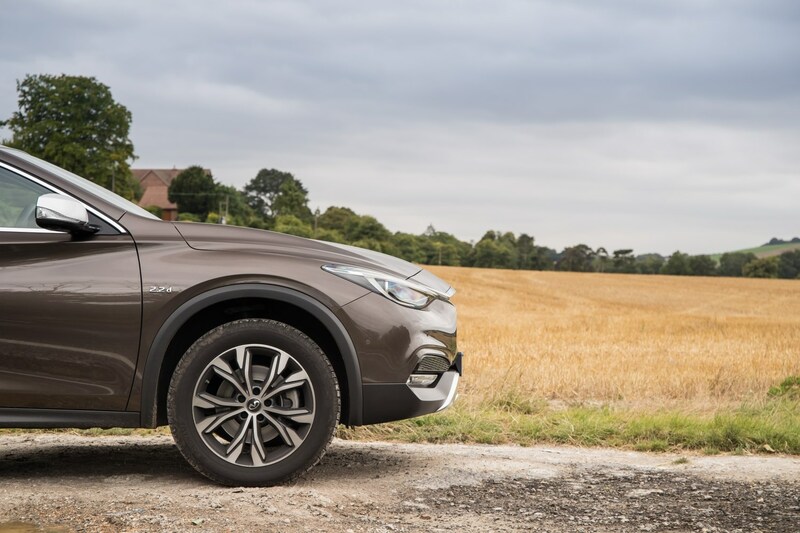 Don’t expect any hot hatchback-style handling however, the way the QX30 drives is perfectly fine but it’s not particularly exciting. 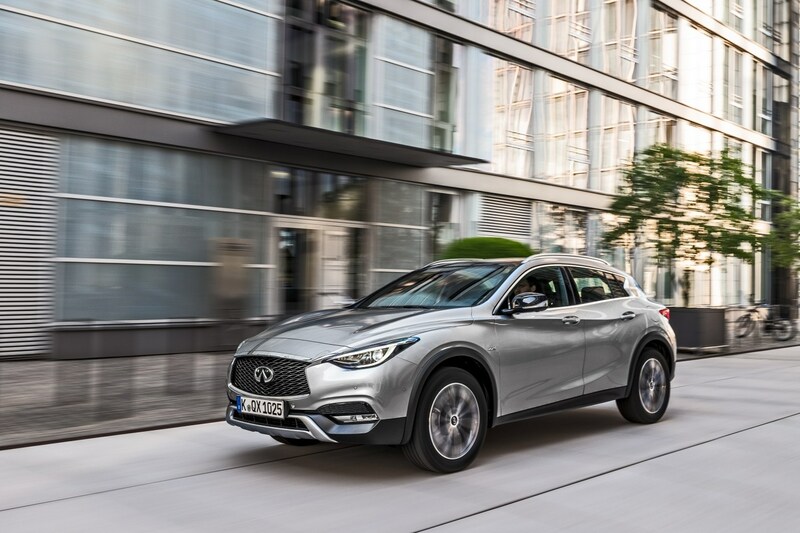 Infiniti claims the QX30 is the ‘easiest car to park in its segment’ thanks to a combination of a 360-degree camera, automatic parking and moving object detection system. 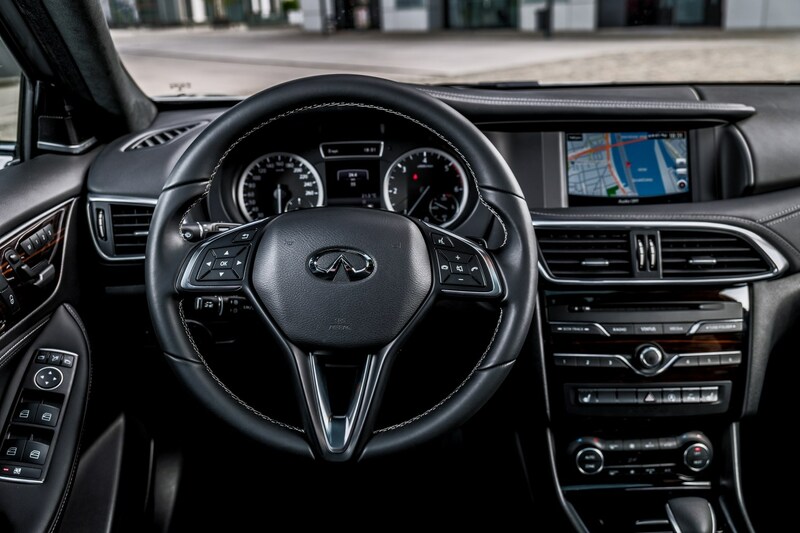 Radar-guided cruise control has also been introduced, but unlike some rival cars, Infiniti has used a special plating technique for its front badge, allowing the radar to hide behind it and eliminating untidy grille addenda. 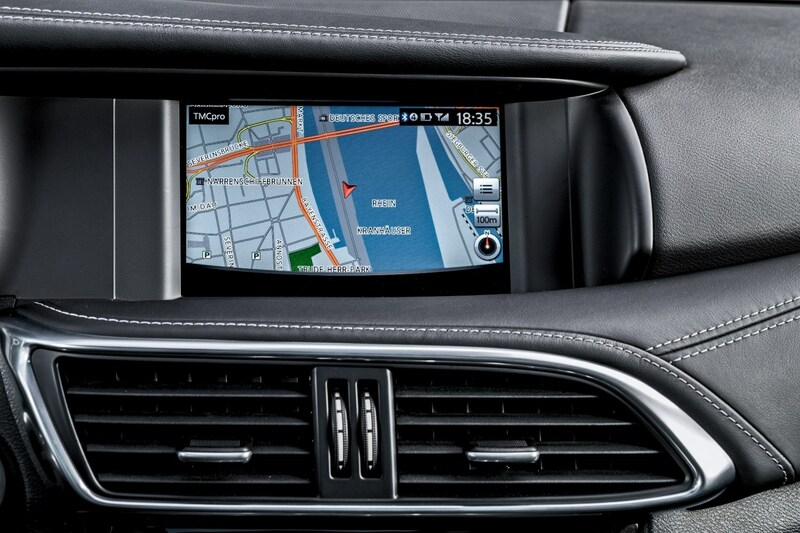 Further tech comes in the form of the firm’s InTouch multimedia system, which includes a 7.0-inch touchscreen controlled in a similar way to smartphones, via swipe and touch commands. 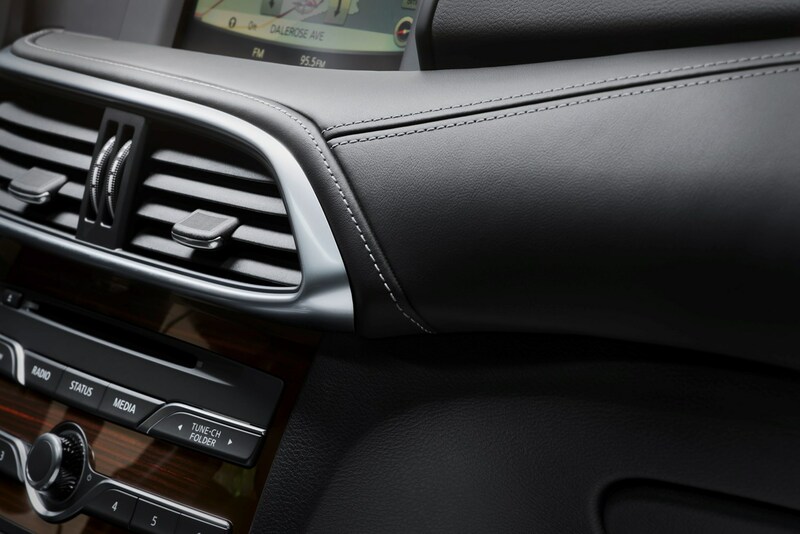 A voice control system is also included. 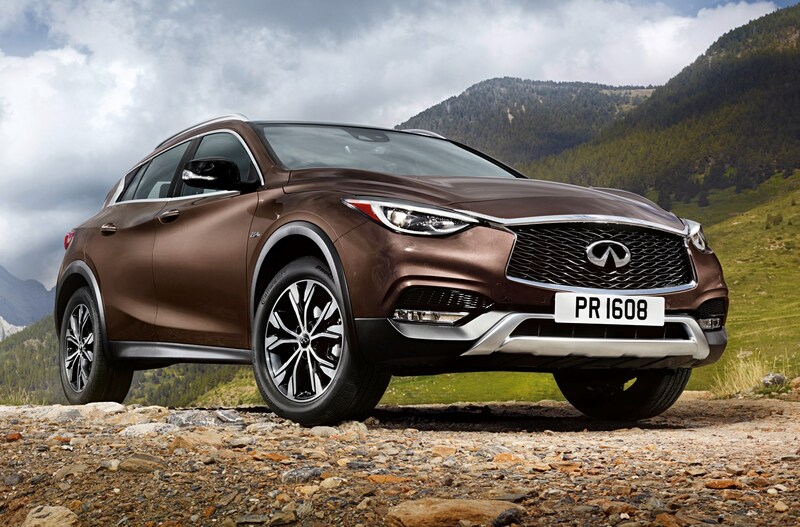 In March 2019 Infiniti announced plans to stop selling cars in the UK and Western Europe in general. 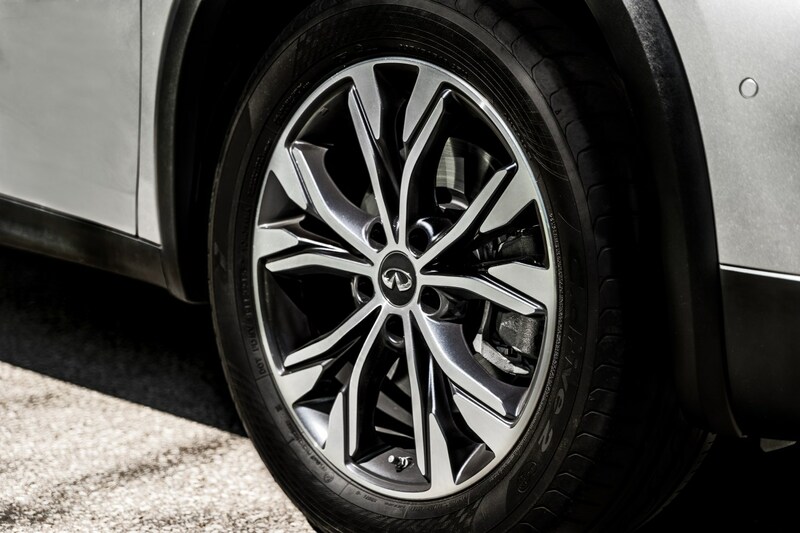 You can read the full story here. 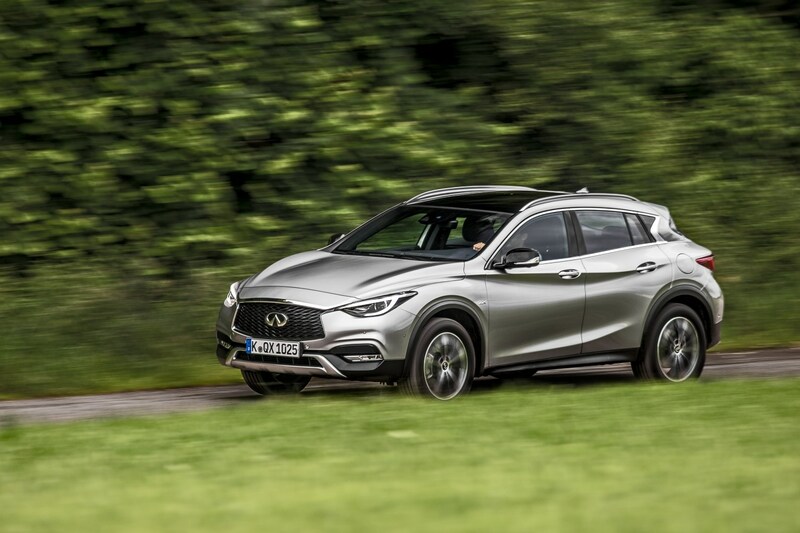 The QX30 feels very different from the Mercedes-Benz GLA-Class it's based on, and like that car, it's not exactly at the sharp end of the SUV market sector. 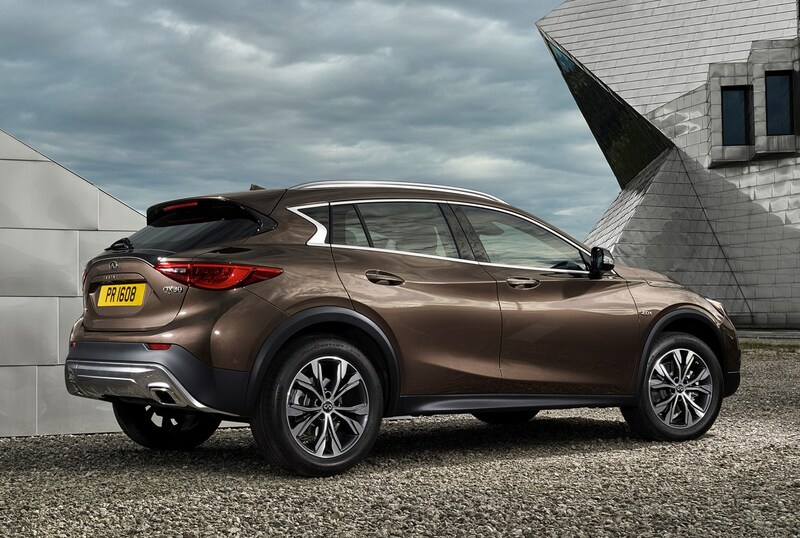 It's appealing and quirky for those who like to stand out from the crowd, but just because it's materially different, it's not better than its more talented rivals. 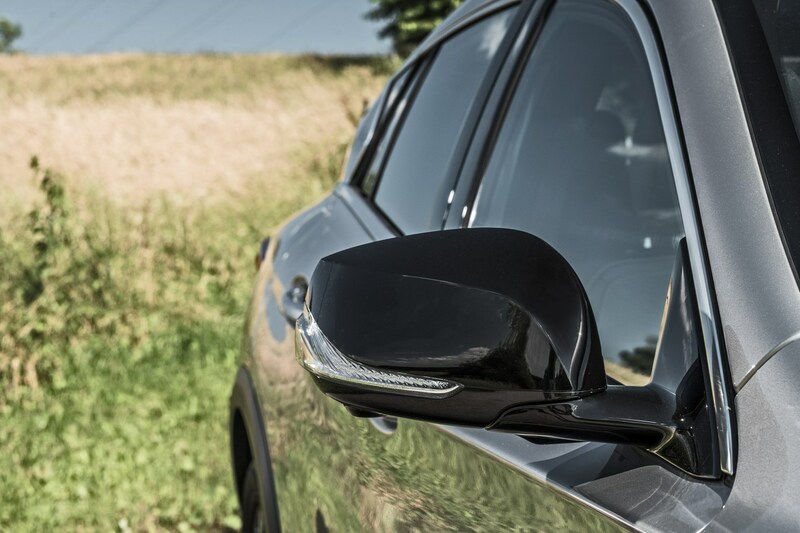 You only need to see our 2017 group test of best Stylish SUVs to see what alternatives are out there for those who want to cut a dash. 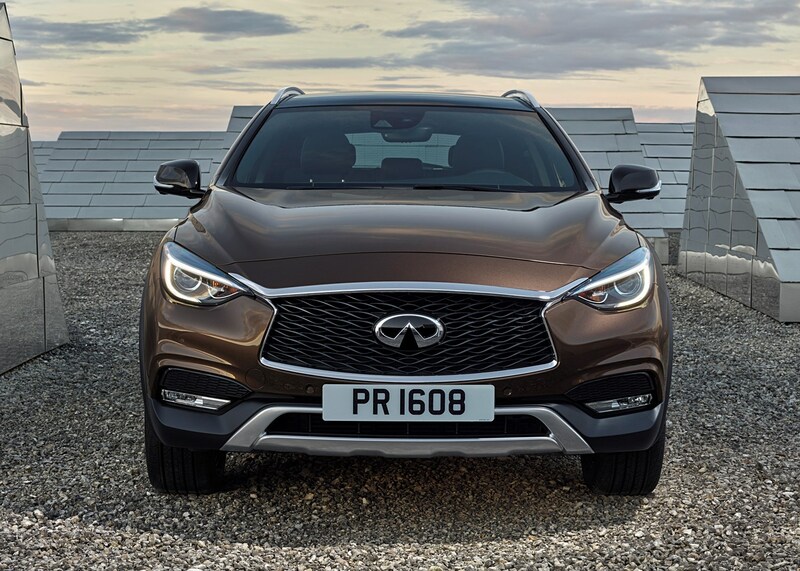 To find out more about this not entirely unfamiliar offbeat crossover, read on for the full Parkers Infiniti QX30 SUV review.